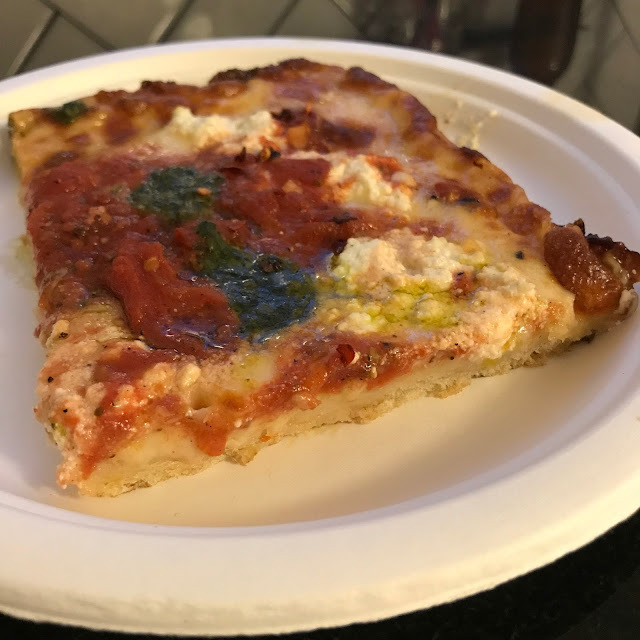 What: "The Sicilian" Square Pie. Where: Prime Pizza (446 N. Fairfax Avenue, LA). Why: I know what you're going through. I feel the same: in the time of Trump, every night feels like a Pizza Night. Every goddamn day I get home and immediately want to put on my athleisures, fire up the AppleTV to a "House Hunters" I somehow haven't seen and just EAT. Really, really eat. Prime's Sicilian is perfect for these times. It's HUGE, thick and filling (seriously one slice probably can do the trick). The crushed tomato sauce oozes freshness, while the pesto pops both in appearance and taste. I don't know for a fact, but my guess is they make it fresh daily (after all this is the pizza joint that actually smokes the chicken on their BBQ Chicken 'za). There's also not one, but two cheeses in a stretchy mozz and a ballpark of ricotta. And then there's that crunch. Oh, man, that crunch! Like all good square pies, almost every bite of the Sicilian begins and ends with the crispness that comes via a magical chemistry experiment between the cheese, the dough, the oil and the pan that results in a beautiful, delicious caramelization. 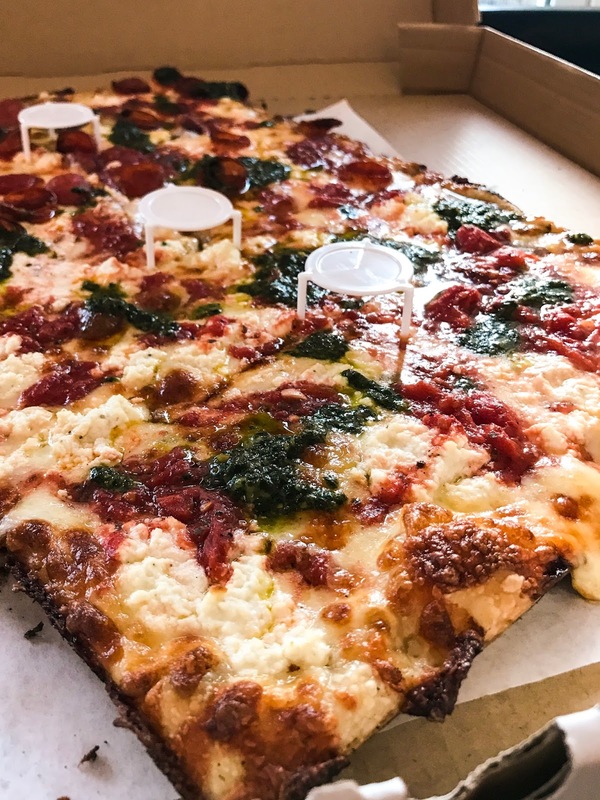 During a dark period in our country where you almost can't take anything at face value, Prime Pizza's Sicilian is as good as it looks. It is the Anti-Trump. Available via slice or whole pie.